You wouldn’t think anyone could experience such heights and depths in such a short life. 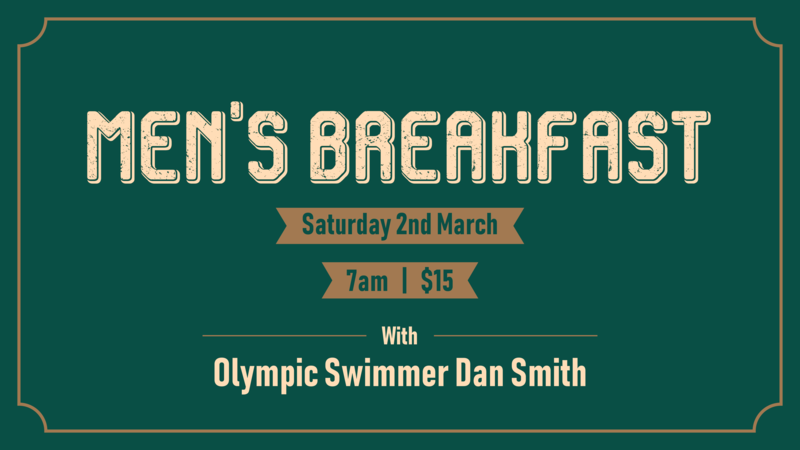 Dan Smith was one of Australia’s brightest swimming stars, touted as the next Ian Thorpe. A few years later he found himself homeless and flighting the downward spiral of a five year drug addiction. Dan shares openly about the destruction drug addiction brought his life but also the incredible intervention of God that led him back to representing Australia at the 2016 Rio Olympics. Online registration for this event has now closed. Please note that there is still tickets available at the door.